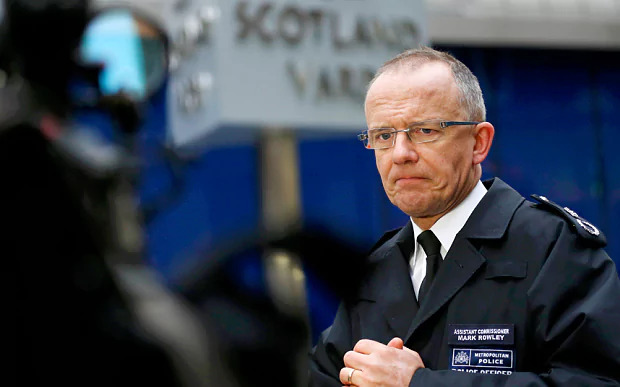 The Muslim Council of Britain (MCB), the country’s leading Muslim representative body, has criticised a top Metropolitan police chief for his decision to speak at an event of the infamous Henry Jackson Society (HJS). The HJS is no stranger to controversy with Muslims and non-Muslims, making the headlines earlier in the year in a recent exposé showing it had taken money from the Japanese government to influence UK’s policy against China. More recently the HJS has announced that it has compiled a catalogue of certain types of “offences” allegedly commit by Muslim perpetrators, which it calls “Islamist Terrorism”, in a 1,000-page report. Mark Rowley, assistant commissioner for the London Metropolitan Police is advertised to speak at the report’s launch, which prompted the criticism from people across society. “Our police services quite rightly place a strong emphasis in building strong relationships with the communities they serve,” the MCB said. “Our senior police officers should therefore be wary of endorsing organisations who have consistently served to demonise British Muslim communities. “However objective and factual the report may be, the accompanying narrative released by the Henry Jackson Society seems to make oblique references to the usual slurs levelled at Muslims: that Muslims do not integrate, are not part and parcel of British society, and are therefore likely to be terrorists. HJS are well known for their extreme neoconservatism and the Islamophobia their members are accused of regularly. HJS Associate Director Douglas Murray, for example – a regular visitor to mainstream news channels on topics about Islam and Muslims – has urged that “conditions for Muslims in Europe must be made harder across the board.” This is the same HJS that was exposed in a court case recently to have been collecting information about mainstream Muslim speakers in the UK to present to the Home Office’s “Extremism Analysis Unit” to smear as “extremists”. Due to their reputation it has not surprised many who know about them that they are focusing on inflating the actual threat that Muslims pose to wider society to enrich further militarism and rally “The West” around a “common enemy” as the neoconservative ideology demands. What is surprising however, for some, is that senior officers and even politicians seem to still be trying to give them credibility.